WILMINGTON, Mass.--(BUSINESS WIRE)--Paul H. Sighinolfi has joined the Ametros Senior Leadership team as Senior Managing Director. Bringing with him a wealth of knowledge and experience, he will provide thought leadership and lead regulatory and policy initiatives, while providing meaningful strategic direction and insight. Sighinolfi is an attorney who brings over 30 years of experience in the workers’ compensation industry, most recently as executive director and chair of the Maine Workers’ Compensation Board. Previously, he was a partner at Rudman-Winchell, LLC, directing the workers’ compensation practice group. He also coauthored Maine Employment Guide: Workers’ Compensation and has been a frequent speaker throughout the country on various workers’ compensation topics. 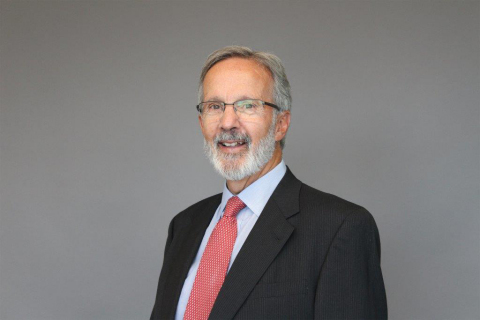 Sighinolfi earned his master’s degree at Trinity College in Hartford, Connecticut and his law degree at the Columbus School of Law at Catholic University of America, in Washington, D.C.
Paul H. Sighinolfi Joins Ametros as Senior Managing Director.